As another award season approaches, people will be looking for more women behind the camera. There will be outrage again when there are not enough women, and as time moves on, the numbers will steadily grow. But according to a study from U.S.C.-Annenberg, there are about 24 male directors for every female director in Hollywood, and the statistic drops even more sharply when it comes to women of color. Meanwhile, women account for half of all moviegoers. There seems to be a clear disconnect in the ways we think of gender parity in the film industry. Women filmmakers are often treated as “one and done,” and may never get the chance to have a career with longevity. While there may be a few who will gain attention in the media, support for women in the film industry means giving them the money and opportunity to continue and expand. Imagine a forum where women filmmakers, producers, and those who aspire to break into the industry are able to share knowledge and support with each other. At FFFEST, Passerbuys and Women and Film would like to empower women to make more films and get recognized for it. Through this festival, women can meet and come together to find inspiration, encouragement, and perhaps collaboration, for the next generation of films to come. Just like striving to survive in any art, making a living in a creative industry is often difficult when rent is due next month. As part of FFFEST, panels will be presented to provide resources and information for those who would like to learn more about surviving in the film industry. Panels include How to Break Into the Film Industry…While Still Paying Rent moderated by Vulture’s Emily Yoshida, How to Balance Motherhood and Filmmaking moderated by Moms-in-Film founder Christy Lamb, How to Fund Your Feature moderated by filmmaker Natalia Leite, and other panels including Jameela Jamil and Sanaa Lathan. It happened while director Crystal Moselle was on the subway. She spotted a group of girls with skateboards, and immediately, she wanted to learn more about them. Skate Kitchen, the first narrative feature by Moselle, is the result of immersing herself in the lives of a group of teenage skateboarders in New York City as they navigate their lives. The screening will be followed by a Q&A with Crystal Moselle and Nina Gregory, Senior Editor for NPR's Arts Desk. Safi Faye is a Senegalese filmmaker who has been inspired by her studies as an ethnologist. In Mossane, Faye depicts a 14-year-old girl growing up in the village of Serer in West Africa who defies her parents’ orders and arranged marriage. There will also be a conversation with Manouchka Labouba, Gabonese Filmmaker and USC Doctoral Fellow in Cinema and Media Studies & Professor Jude Akudinobi, Lecturer at Department of Black Studies UCSB. With an introduction and conversation led by KJ Relth of UCLA Film & Television Archive, this film by Lucrecia Martel explores the suppressed emotion lurking within the familial structure is here pushed to another level of creative daring. Martel has been celebrated as one of the most talented filmmakers of contemporary cinema, and this film gives good reason. …and more! 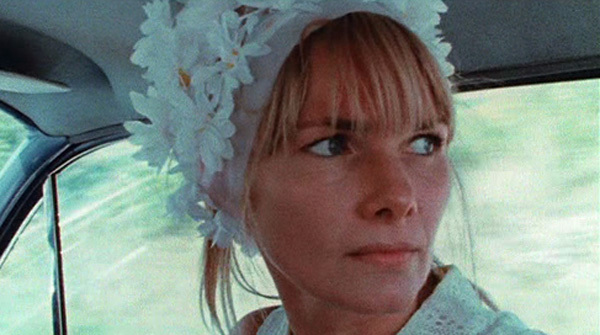 To prepare for the festival, be sure to check out our list of the most essential films on Passerbuys made by female directors, featuring popular favorites from Lost in Translation and Clueless to Agnès Varda’s earliest films. You can share your favorite films by female directors with us on social media by tagging #FFFILM.